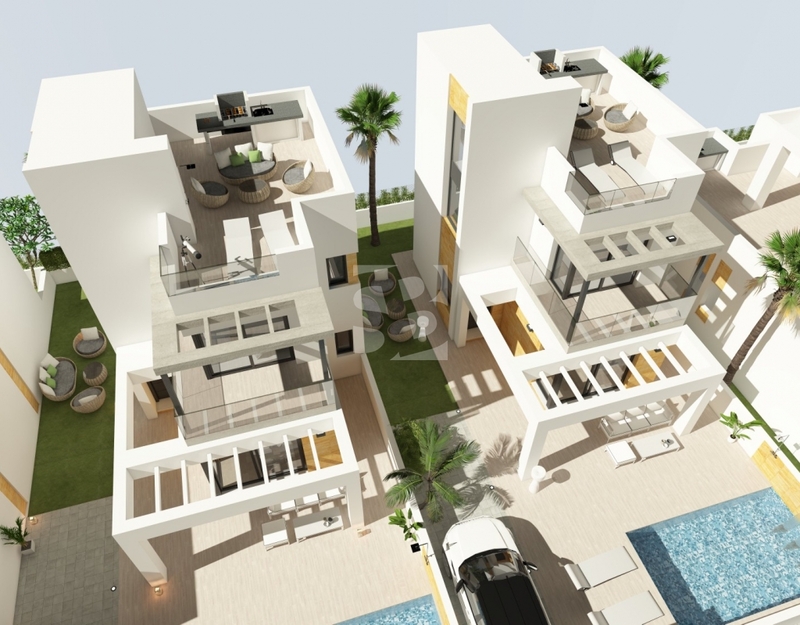 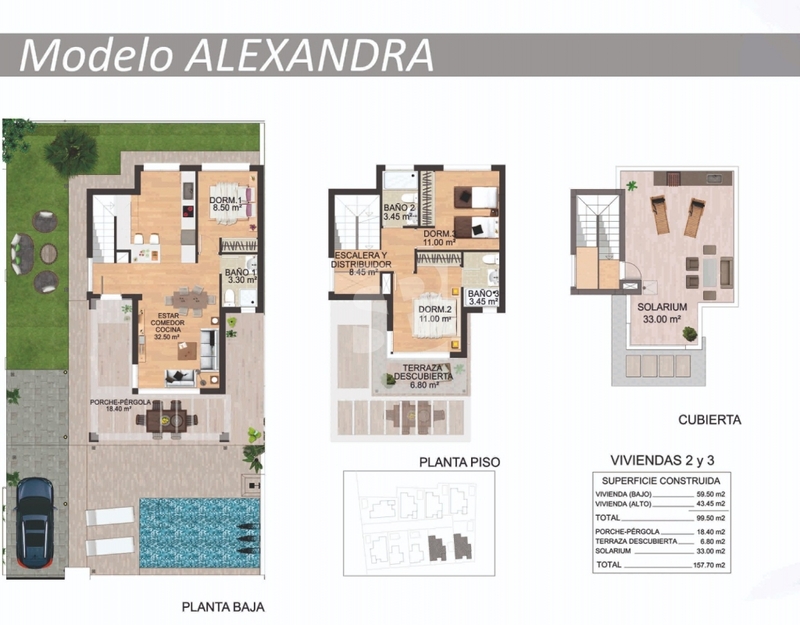 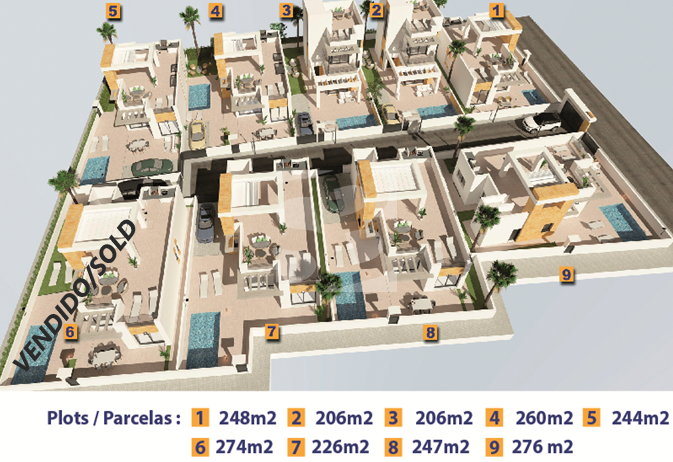 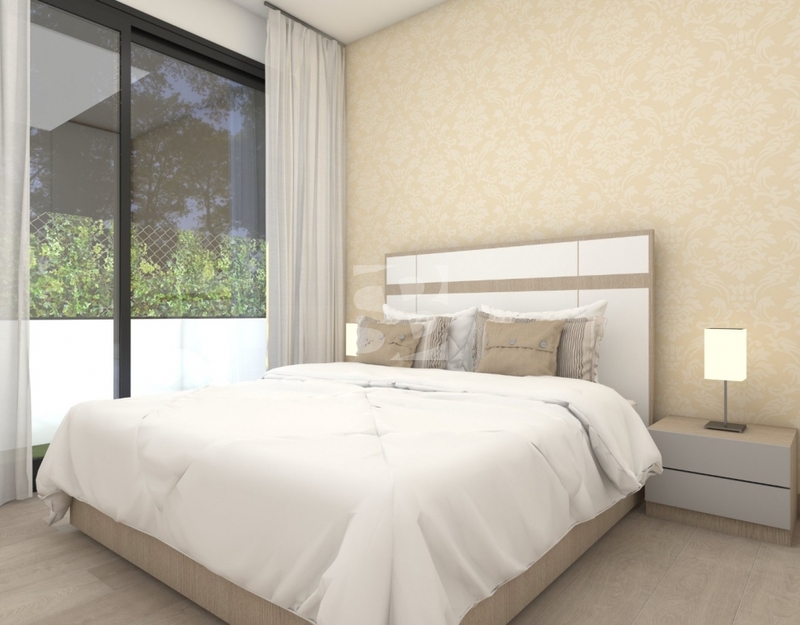 The model ALEXANDRA consists of 2 large villas distributed on 2 floors with solarium. 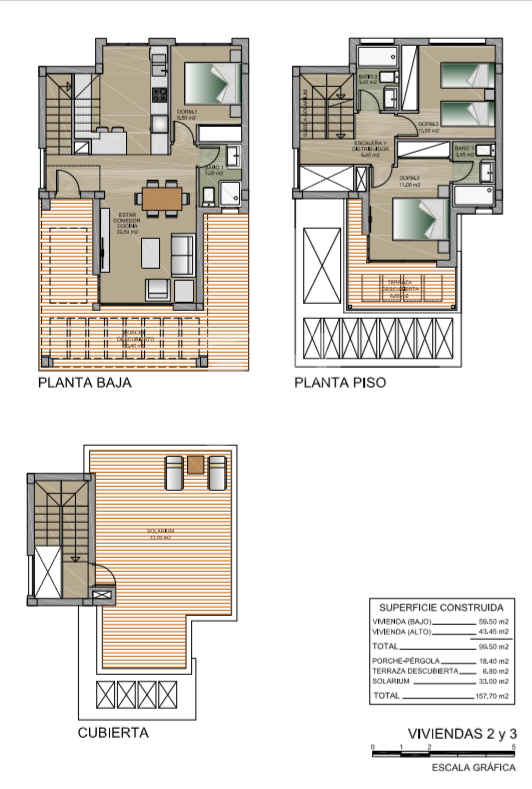 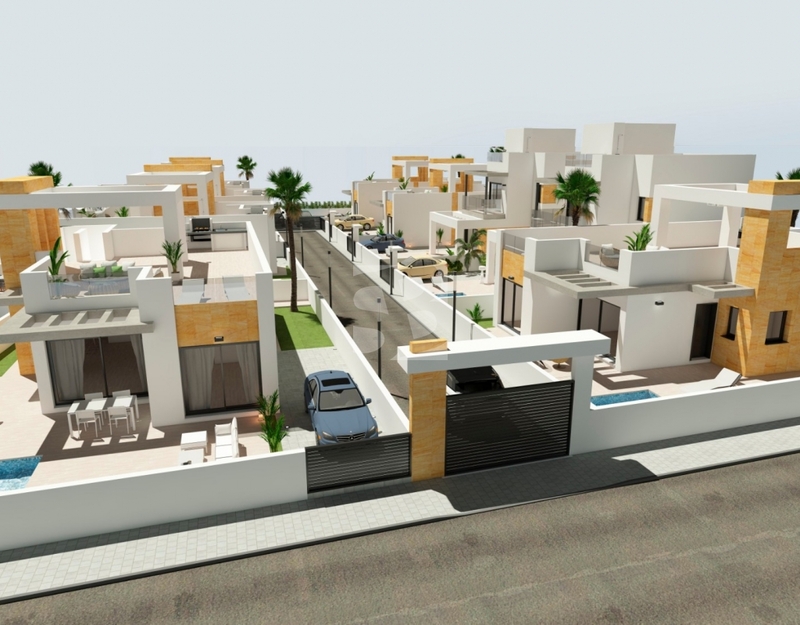 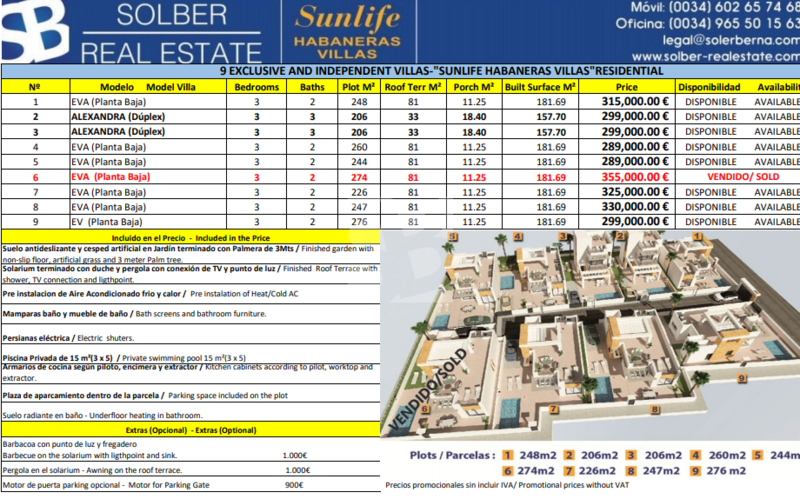 3 bedrooms, 3 bathrooms and basement option, plot of 206 m2, with a built area of 157.70 m2 each. 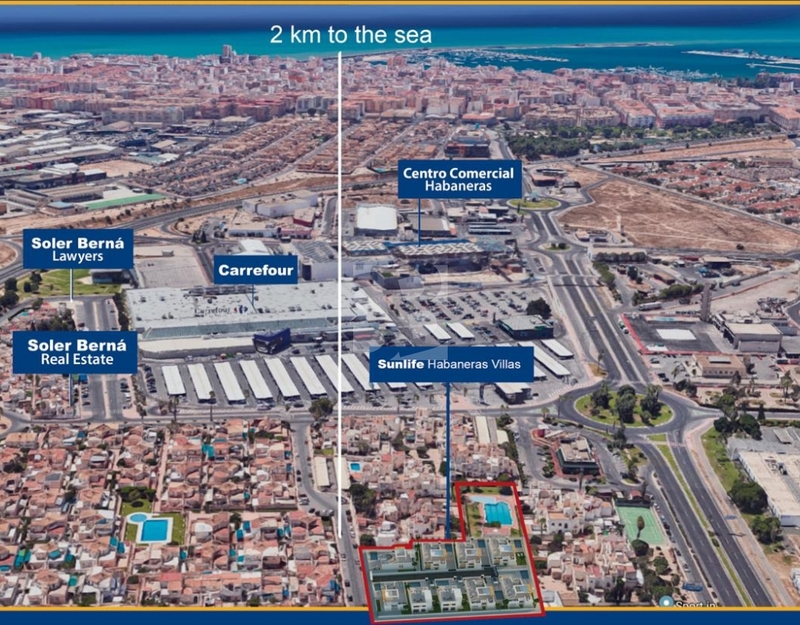 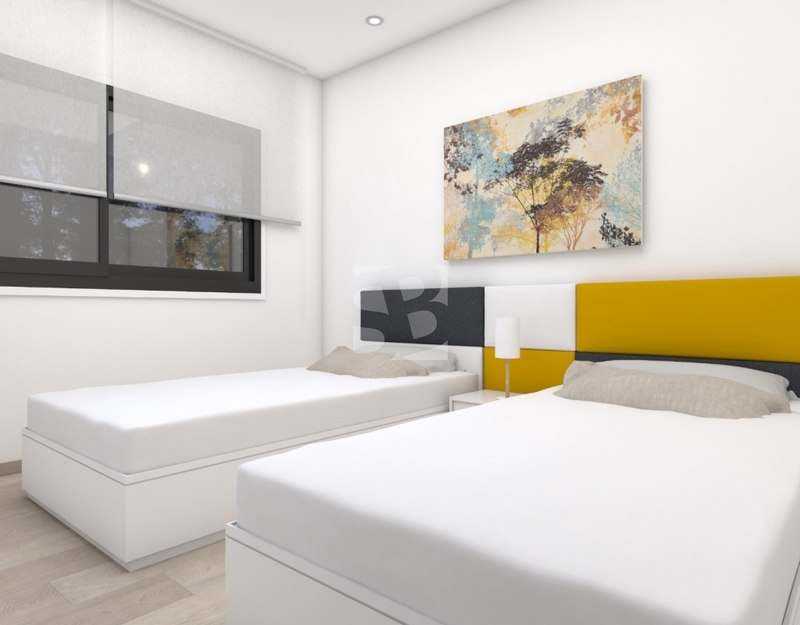 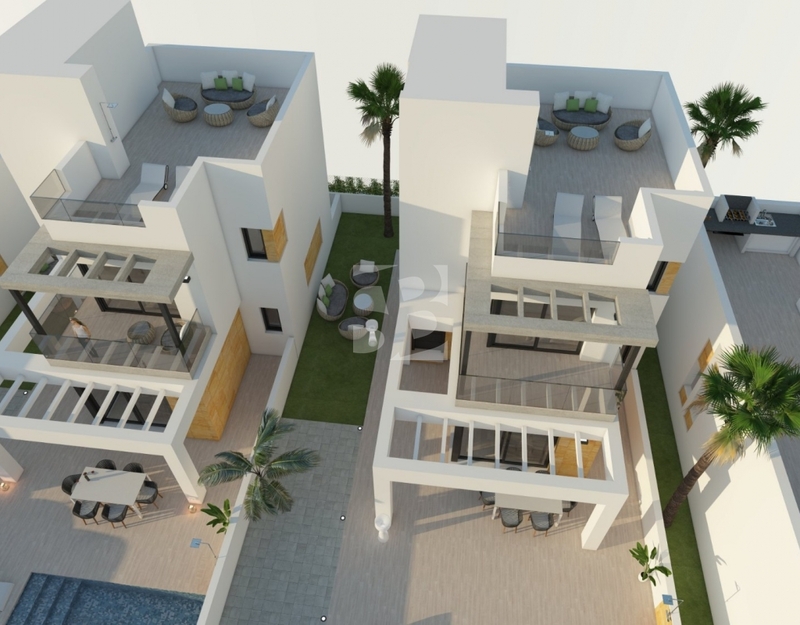 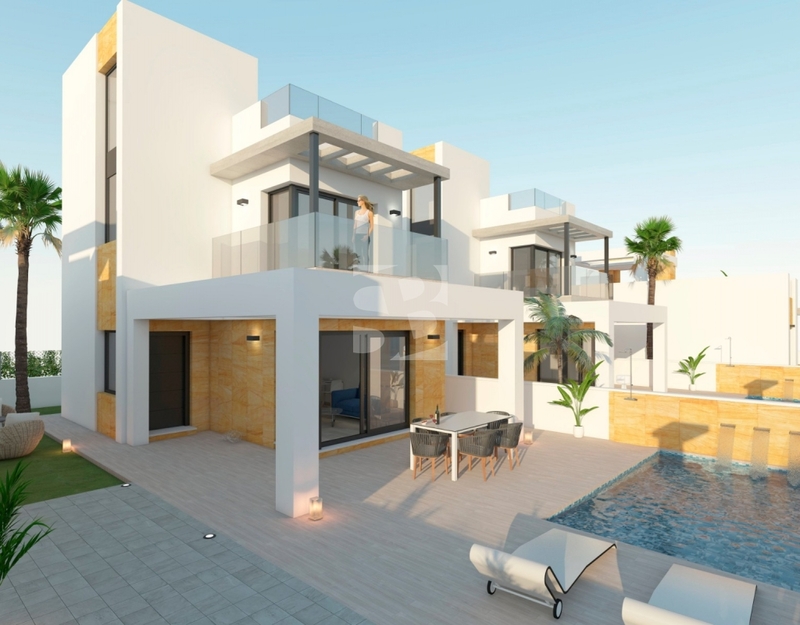 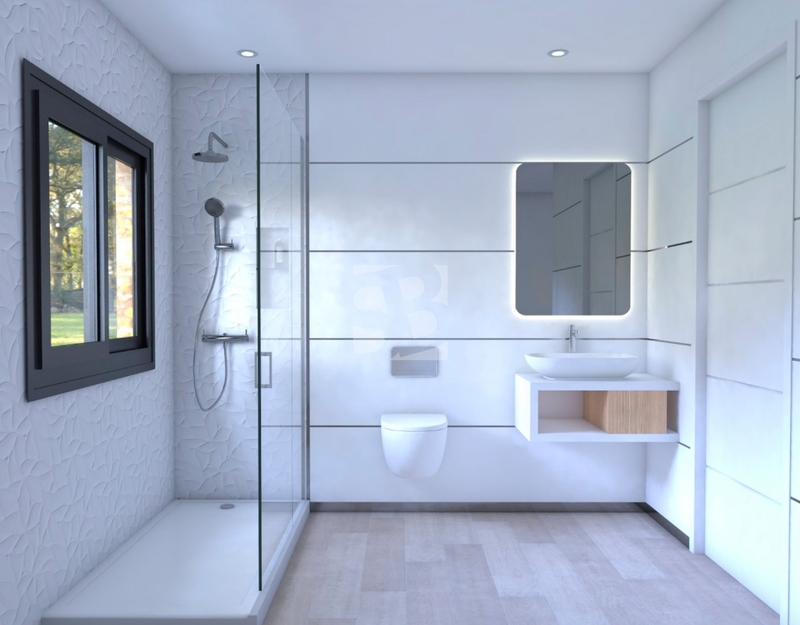 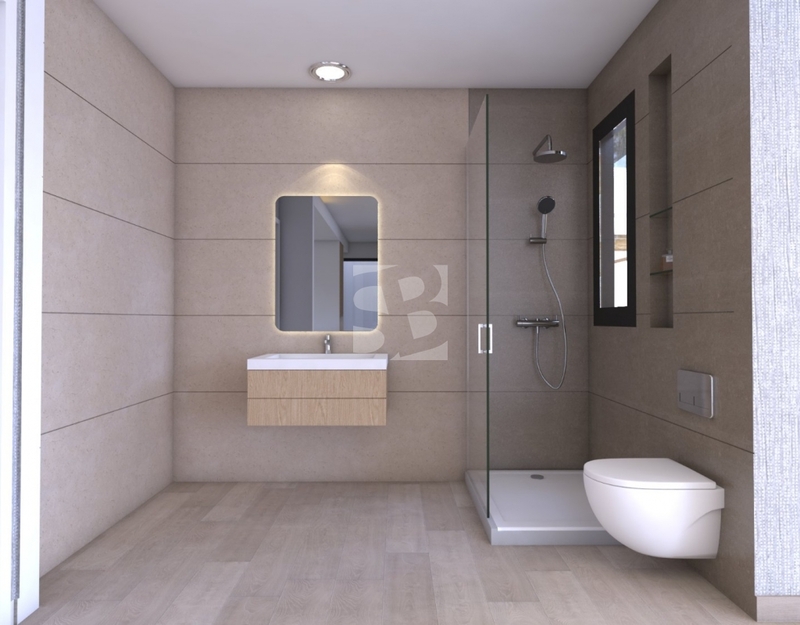 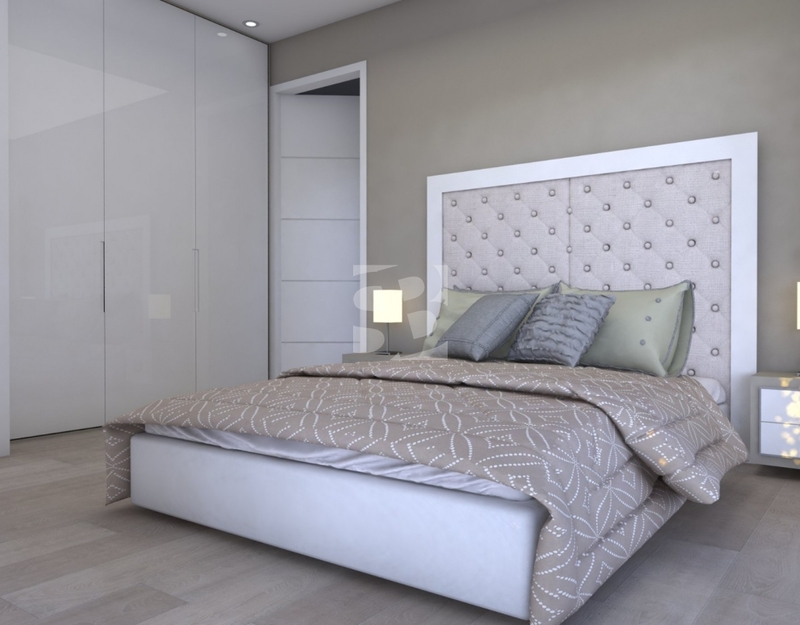 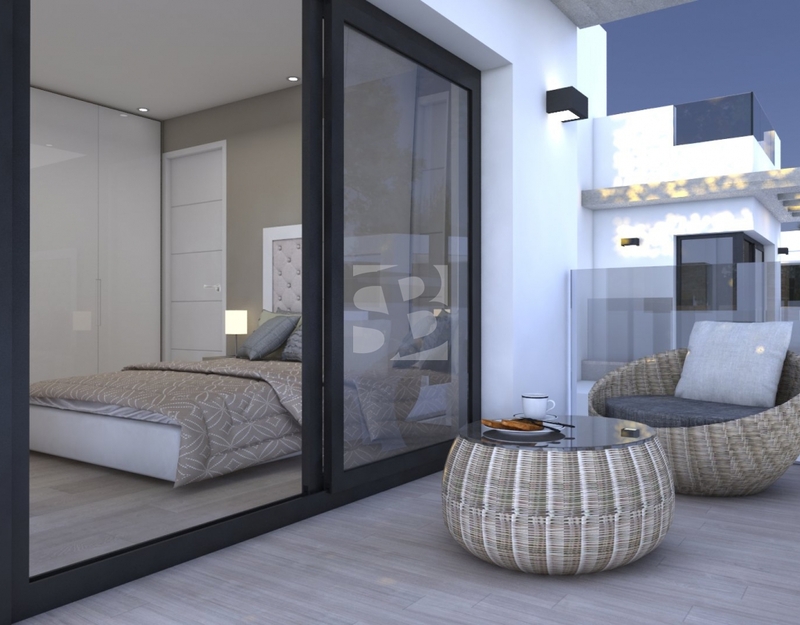 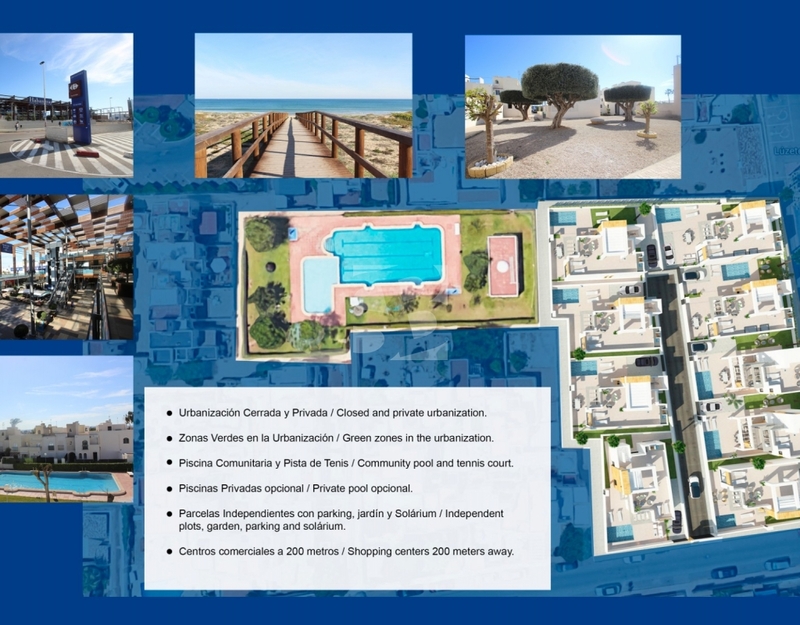 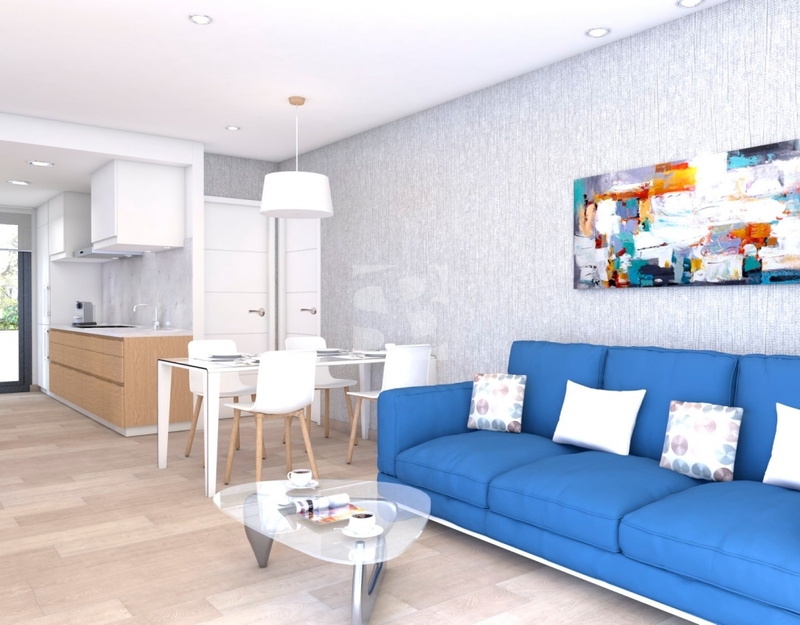 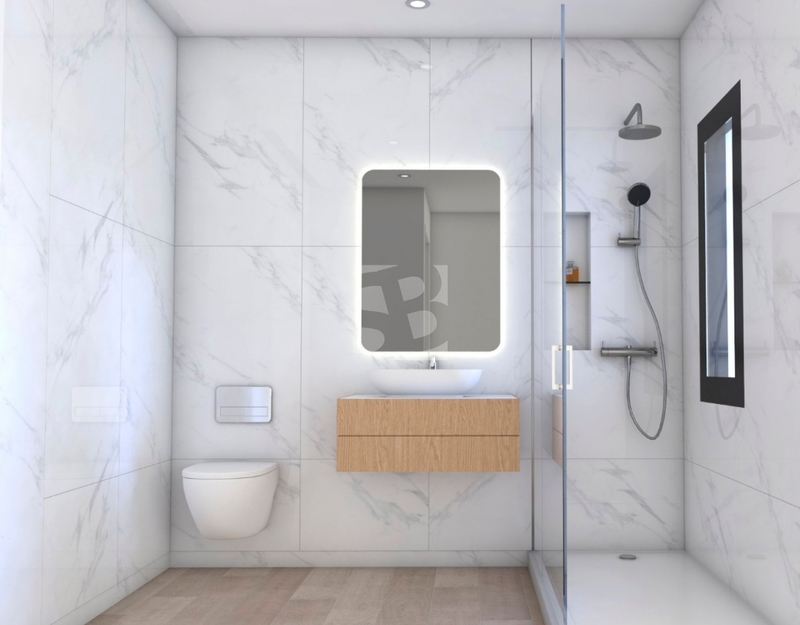 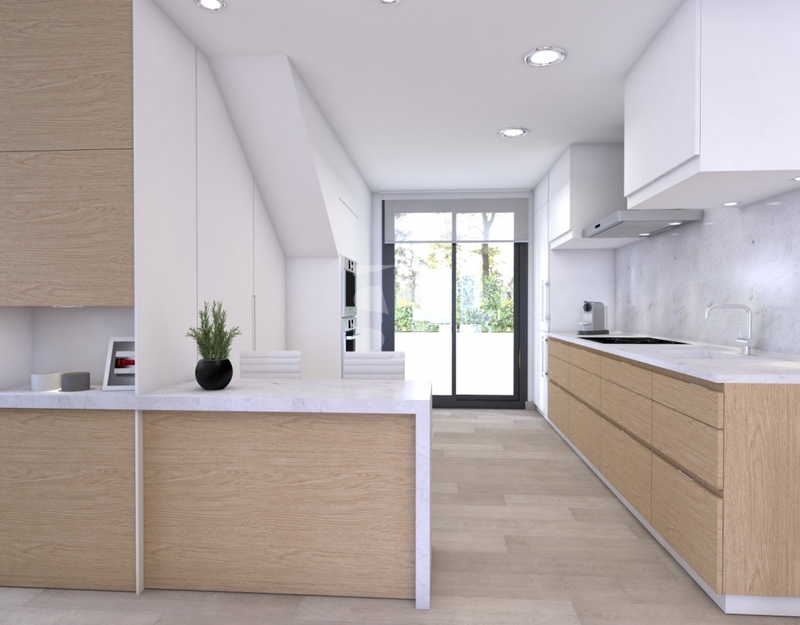 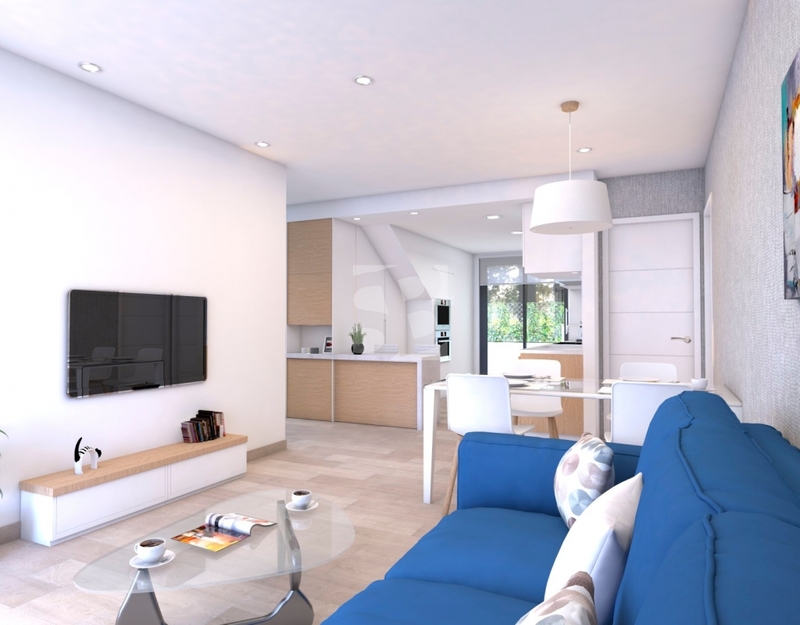 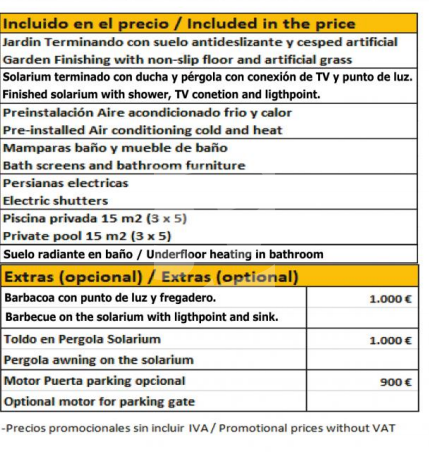 The ground floor consists of the living room, kitchen, bathroom and large double bedroom, the upper floor has two bedrooms, two bathrooms and the solarium to enjoy the sun and the microclimate of Torrevieja and the Mediterranean all day long.